A century ago, Egon Schiele died of influenza at the age of 28. Even so, he had produced enough paintings and drawings that the cataloguing of his work is still an ongoing process. Now a digital update of the Schiele catalogue raisonné is available, allowing scholars and other enthusiasts to make rapid connections and to search for works on specific subjects. The database, focusing for now on the Expressionist artist’s oils, prints and sculpture, is the work of a team led by Jane Kallir, the author of the most recent Schiele catalogue raisonné and the co-director of Galerie St. Etienne in New York. Kallir’s grandfather, Otto Kallir (1894-1978) assembled the first Schiele catalogue raisonné in Vienna in 1930, with a subsequent edition in 1966. Jane Kallir updated that compendium in 1990 and 1998. “We” includes Kallir’s husband, Gary Cosimini, a computer specialist and a former art director at the New York Times. To finance the project, Kallir established a non-profit foundation, the Kallir Research Institute. She was at a particular advantage in indexing the paintings, given that her grandfather published the first catalogue raisonné of the oils in 1930. “He was able to catalogue most of the oil paintings at a time when they still were with either primary collectors who got them directly from Schiele or with the artist’s family and estate,” she said. 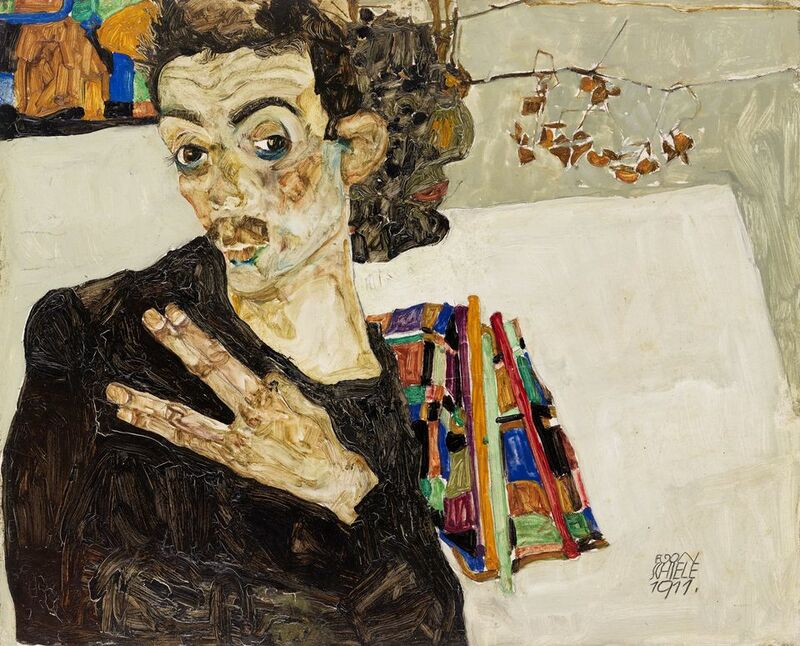 That Otto Kallir established that record becomes all the more critical, given that many Schiele works in Vienna were looted from their pre-war owners by the Nazis and later became the subject of Holocaust restitution claims. “A lot of paintings that were owned by Jewish collectors in 1930 weren’t owned by them in 1945, for various reasons which are obvious,” Kallir said. 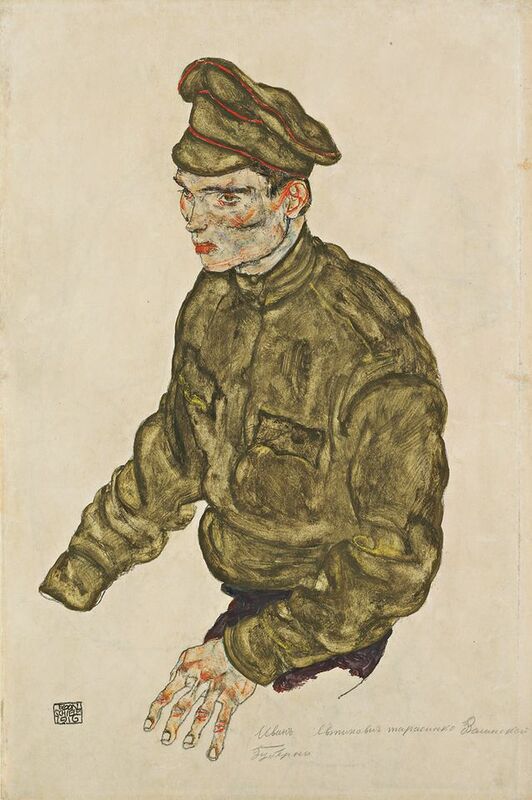 By the time Kallir began working at her grandfather’s gallery in 1977, there were three catalogues raisonnés of Schiele’s oil paintings: the 1930 original and the updated 1966 version by her grandfather, and another published in 1972 by the Viennese physician and collector Rudolf Leopold. Otto Kallir and Leopold differed on some attributions. Leopold and the collector Serge Sabarsky discussed cataloguing Schiele’s watercolours and drawings but never followed through. The London dealer Wolfgang Fischer planned a similar volume in the late 1970s. He dropped that project and made his photographic archive of roughly 1,000 works on paper available for the catalogue raisonné that Jane Kallir published in 1990. For decades, most Schiele drawings and watercolours had been seen as having too little value to document. That changed in 1978, when a Schiele watercolour sold for more than $100,000. Once that threshold was crossed, “he became an artist to be reckoned with, and the danger of forgeries exacerbated,” says Kallir. Her 1990 catalogue documented 2,503 authentic drawings and watercolours, and over 2,900 are expected to go into the database in 2019. At a recent demonstration of the digital catalogue, he zoomed in on individual pictures, which the digital format can show at a far greater size and at higher resolution than the postage-stamp scale of entries in printed catalogues raisonnés. With a click, he organised paintings by year, tracing Schiele’s evolution from a prodigious student in 1907 to a brazen young man out to shock his viewers in 1910 to Schiele the soldier in 1918, deployed by the Austrian Army soldier at a prison camp for Russian troops. Portraits of those detainees reveal a maturity in the artist of 28 who is often pigeonholed as a boy wonder. “Our goal was to make it searchable” and to enable comparisons, Cosimini says. Another click away, images were grouped by subject: nudes (male or female), portraits, self-portraits, landscapes. Finished paintings are shown alongside preparatory studies on paper, although the systematic entries for the drawings and watercolours will not go online until next year. Other categories for cross-referencing include the books and catalogues where the works appeared and specific museums, exhibitions and auctions. Other projects await. Kallir and Cosimini already have two more artists in their sights: the Viennese painter Richard Gerstl (1883-1908) and the American painter Grandma Moses (1860-1961), whose catalogue raisonné Otto Kallir compiled in 1973.